Neckties are a bit of an environmental nightmare, novelty ties get bought for people who might use them once or twice, charity shops don’t want them as they don’t sell well and if sent for recycling they often get caught up in the recycling machinery and cause expensive damage. Upcycling, remaking and reuse is best! A creative community group bought together by Sussex Green Living have been busy demonstratingways that people can use the neckties to make stunning clothes, bags and jewelry, the list is endless. 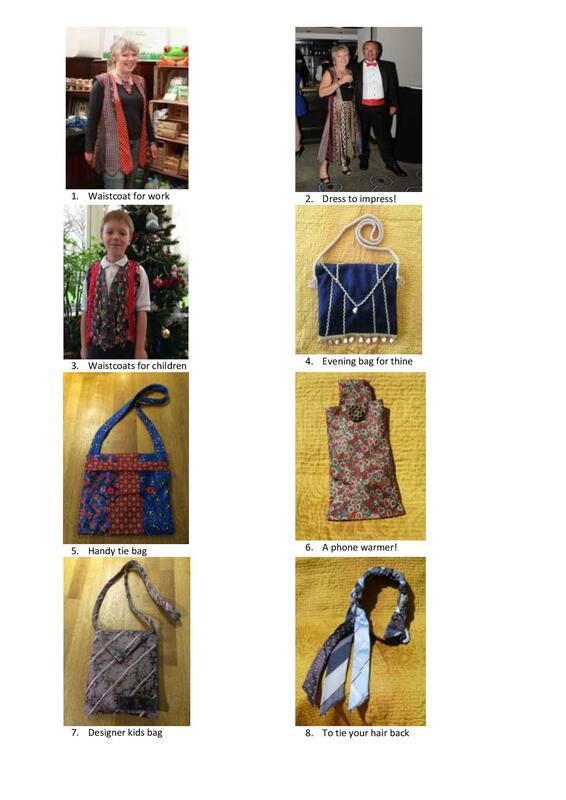 If you would like to attend one of our Creative Tie Upcycling Workshops learn more here. Of you could come along to our ‘Tie it down – Creative Necktie Upcycling tester at the Kinder Living Show on Sunday 3 July 1045 – 1145. You can learn more and book here. So rescue those ties from the landfill and make something stunning. Come and join us in our Tie Revolution! 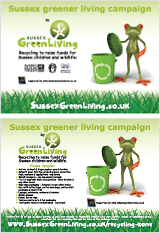 This entry was posted in Events, Green art & games, Green stats, facts & news, Recycling facts. Bookmark the permalink.